Sometimes we can all be guilty of seeing a player perform in a sporting arena and if they haven't played up to scratch arrive at all sorts of conclusions about why. Or maybe write off their performance as just 'Cat'. They old saying goes 'never judge a book by it's cover' and lots of sports bodies around the world have started to implore us to see much more than a player. Like all of us they are humans and may have a lot going on in their world impacting their performance making it ill advised as in life, to rush to judge. 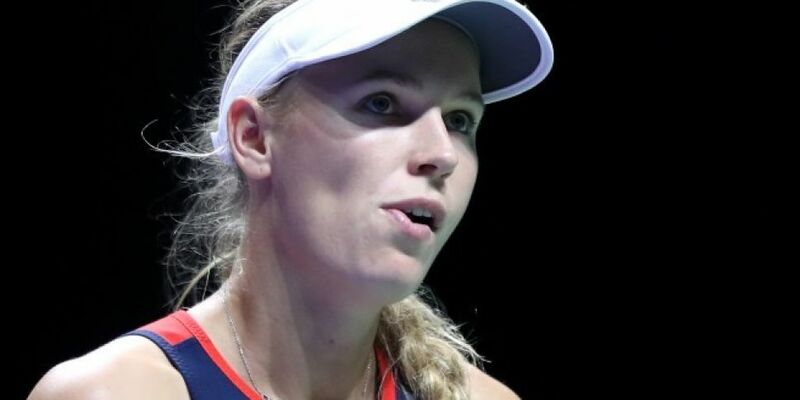 Take former tennis world number one Caroline Wozniacki for example. The Dane is said to be "shocked" to be diagnosed with rheumatoid arthritis, and wouldn't you be? With any of these global stars sometimes it feels we know them because they appear in the corner of our living room on the box so often. In this case Caroline recognises that and wants some good to come out of her diagnosis and for her to become a role model for people with the condition. Just 28, she discovered she had the auto-immune disease in August. It's also hard for the rest of us to get our heads around the fact that someone in the prime of her life and as fit as anyone can be gets diagnosed with such an ailment. ''It has been a lot to take in". Rheumatoid arthritis causes pain, swelling and stiffness in the joints. "You feel like you're the fittest athlete out there and all of a sudden you have this to work with," she said. Rheumatoid arthritis can affect people of any age, although often starts when a person is between 40 and 50. It occurs when the body's immune system targets affected joints, leading to pain and swelling. Sadly there is no cure for the condition, but medication and other treatments can relieve symptoms. It's not all doom and gloom for Caroline. She has been taking medicine and receiving treatment to manage the disease and is positive the condition will not impact on her career. She may have a point as she won the China Open earlier this month. Your health is your real wealth.